Last weekend I was at JordanCon here in Atlanta, meeting with and talking to some exceptionally skilled people in the writing and publishing world. It was an amazing treat, since I got to experience being a Con author, but also because I got to pick up little things here and there from other people more experienced than I am. One of the things that came up in conversation with many of the aspiring writers I spoke to was the fact that none of them had ever read their work out loud or had anyone read it for them. To elaborate, I’d like to state that I (frequently) annoy my husband into letting me read something I’ve written to him. I’ll do this even if I know he won’t really be listening because it’s while he’s reading the news or playing a video game or even falling asleep. The benefit I get isn’t just for him to listen to the story and give me feedback, though that does help. The benefit is learning where the flaws are in my own writing by hearing them as I read. This one trick has changed many a story I’ve written. So it struck me as odd that many people don’t read their work aloud. The benefits to your writing are so tremendous it’s ridiculous. I’m an incredibly fast reader by nature. If I’m pleasure reading, I often have to force myself to slow down so I’m not missing key elements or glossing over words. Reading out loud forces me to slow down, see what I’m actually reading, and also notice errors (like forgotten words) as I go. 1. Awkward lines become super obvious. Sometimes when you’re just reading your own writing, it sounds really eloquent in your head. You know what I’m talking about—you’re sure it’s the greatest set up ever. But reading out loud will strip that idea from you almost immediately. And trust me, that’s a good thing! When you read out loud, you’re going to see if there are any words that you hesitate on, stumble over, or that otherwise sound weird to you. These are areas that might make other readers (who don’t know your inflection) go “Huh?” and reread it to figure out what you meant or to correct themselves. And since that takes away from their immersion in your world, that’s a BIG no-no. Reading in front of people is weirdly intimidating. It’s like you’re baring a piece of your soul when you read aloud. This can make it easy to screw up, whether it’s because of a dry mouth, nervous tick, or you’re speed reading and stumbling over your words. If you practice reading out loud, when you have to do this in the future to a crowd (either big or small! ), you’re going to know the pace, be familiar with the tone, and understand how it should sound, which will help lessen screw ups. 3. It will better your writing. Yes, reading your work (or hearing someone else read it) is supremely beneficial. In your head, things might sound fine, but out loud, you’ll start to realize that certain words may need to have less complicated choices, or that dialogue sounds too formal, or you’re trying to create a scene and left out a hugely important part. It will also force you to picture scenes and situations in a different way than just writing will do. You’ll start to notice immediately when things don’t “look” right in your head, and you’ll realize where you’re lacking to your readers, too. So if you’re not convinced, just try reading your latest piece out loud to yourself, and I’m sure you’ll notice some problems right away. If you have someone you’re comfortable sharing your work with in the early stages, have them read segments to you, too, so you can see where you’ve still got work to do. This is an incredibly important part of the storytelling process, so don’t neglect it! 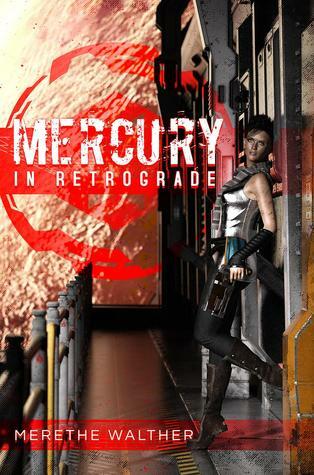 So, very soon, I will be doing a cover reveal for Mercury in Retrograde, my debut novel! If you haven’t already checked it out and discovered if you’d like to read it (the answer is yes, yes you would), you can do so at the Curiosity Quills website, here, or at Goodreads, here. I will also be doing some lovely Instagram pics as soon as I get the chance. Mercury in Retrograde will be available soon, so as you can imagine, I can barely contain my excitement. Stay tuned! Awesome giveaways may be announced shortly, and you might even get the chance to get a copy for free!